Have you been racking your brain, trying to figure out how to celebrate Adam Lambert’s 33rd birthday tomorrow? I hope you’ll be spending some time with Adam, either through his music, sharing some time with your best Glambert friends, reviewing some Glamtastic concert video or maybe you’re lucky enough to be at his birthday concert in Cologne, Germany?! I hope Brian May and Roger Taylor do something special for him onstage, and we get to see it! Something we can all do is vote for the Queen + Adam Lambert Show as Best Tour of 2014. Ultimate Classic Rock Magazine is sponsoring this poll. Queenbert has been in the lead ever since I began voting, but that doesn’t guarantee a win. Of the 15 tours to vote for, there are 7 combo band tours where at least 2 major acts on the bill. The only tour challenging Queen + Adam is the one triple threat – Foreigner/Styx/Don Felder. I’m not quite sure how legit this poll is, seeing how their fanbase has got to be from a non-tech generation! And most of the other fanbases seem to have knowledge of this poll. Voting is closing on Tuesday, February 3 at 9 AM, ET. You can only vote once every 60 minutes. I know I may sound a bit obsessive, but here’s what I’m doing and it’s really simple. I leave the URL open in my phone browser. I have a small timer, or use the timer function on my phone’s clock if I’m out, set for 61 minutes. When the timer goes off, I open the poll on my phone, vote, restart the timer and go back to my business. There are also plenty of free stopwatch apps in Google Play Store. And please come back to www.adam-lambert.org tonight after 6 PM PT and write your Birthday Wishes to Adam on the new Happy Birthday Adam Lambert post, not below. I’ll be posting a new article for you to do this on, but the email notification won’t go out until tomorrow. Me too….Adam and Queen have taken a big lead as of this AM Foriegner/Styx have come down. Vote Vote Vote!!!!! I have been voting for several weeks. I don’t get too excited about these polls, but you never know what will help Adam. I will keep voting until Tuesday. Can’t wait to see what he does at the show tomorrow for his birthday. I hope he has a chance to let his hair down & have his own kind of party. Wouldn’t it be fun to ‘jump’ out of HIS cake? 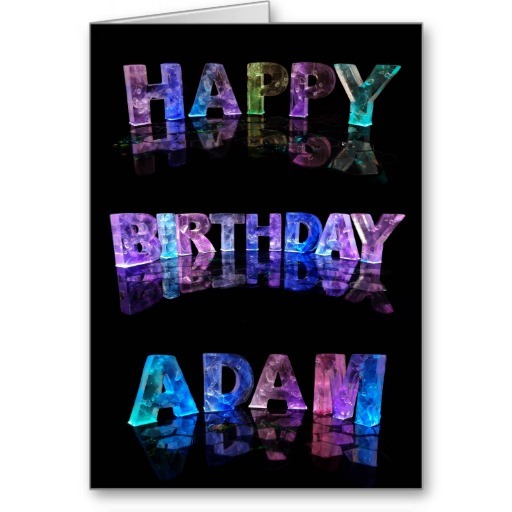 Happy happy birthday dear Adam. Happy Birthday Dear Adam! May 2015 project you into super stardom…as all us Glamberts believe it should! OVER THE MOON EXCITED about you new single in April & album in the summer!!! The anticipation is KILLING ME! I was fortunate to be able to see Adam with QUEEN here in Vancouver B.C. Their ABSOLUTELY FABULOUS tour deserves to win! I have been voting constantly for the last couple weeks & will continue to do so! Thank you Carol & team for always keeping us in the loop with respect to Adam & this amazing journey he is taking us on! Cheers to Adam!!! informed of your upcoming appearances. There will never be another American Idol star like you.